Marlink VSAT for extra-large container ships. 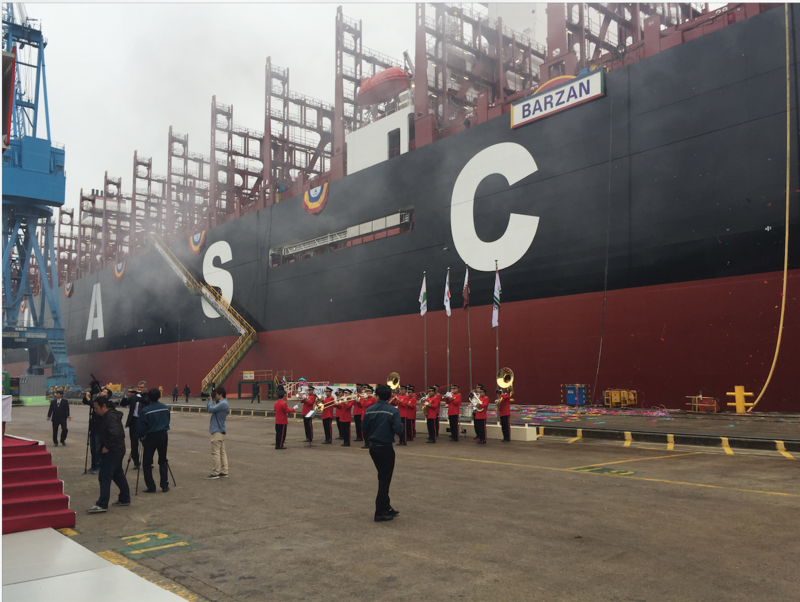 [SatNews] The world’s first 18,800 TEU LNG-ready ultra-large containership, M.V. 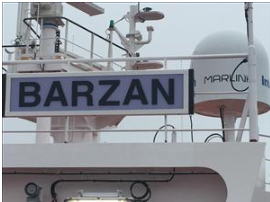 Barzan, was recently named at a ceremony in South Korea. MV Barzan is one of 17 (11 x 15,000 TEU and 6 x 18,800 TEU) advanced new containerships built by Hyundai Heavy Industries for United Arab Shipping Company (UASC), all of which will start their operational life with IP connectivity using Marlink VSAT (Very Small Aperture Terminal). With reliable broadband, this new generation of containerships is online and connected to shore 24/7, enabling UASC to implement sophisticated new applications and processes designed to save time and money, whilst improving vessel and fleet performance. M.V. Barzan was recently named at a ceremony in South Korea. UASC’s decision to equip its new containerships with Marlink VSAT is in line with its commitment to build a new fleet of the most environmentally friendly, technologically advanced and eco-efficient container vessels in the world. The IP connectivity enabled by the Marlink VSAT services will enable UASC to continuously monitor engine performance and emissions, enabling voyage parameters to be adjusted per vessel and based on trends throughout the fleet. The connectivity provided by Marlink will also enable UASC’s fleet management system and electronic document handling systems, whilst providing significant bandwidth for crew communications. UASC will benefit from unlimited traffic volume on its Marlink VSAT services, with data speeds guaranteed by a defined Committed Information Rate (CIR). UASC has chosen the Marlink parent company Airbus Defence and Space’s SkyFile Mail solution, which will be used for email and crucial data transfer including fuel monitoring data, GPS updates and engine performance data, all of which can be used to reduce operational costs and improve efficiency. Also from Airbus Defence and Space, the XChange communications management platform will enable high-end crew welfare functionality, whilst the package is completed with an MSS back-up system, to ensure continuing connectivity for critical applications at all times.